Pilot's Post this week celebrates its 200th issue. Now in its fourth year of publication, www.pilotspost.com is now a well-established brand in the aviation industry averaging more than 78,000 hits per month from over 12,500 unique readers. It is still free to all our readers and new content is published twice a week keeping you, our loyal readers, up to date with aviation news. 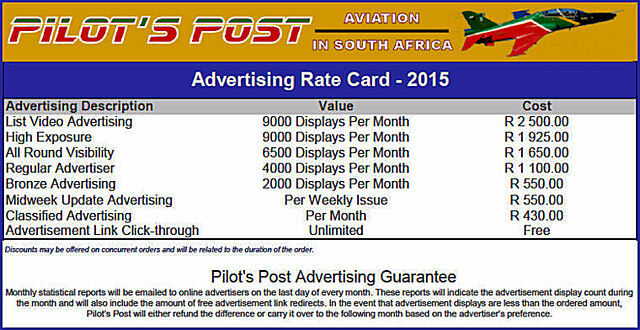 Advertising with Pilot's Post is cost-effective and affordable to all. Basic advertising packages start from as little as R550.00 per month through to more advanced options for those who require higher visibility. 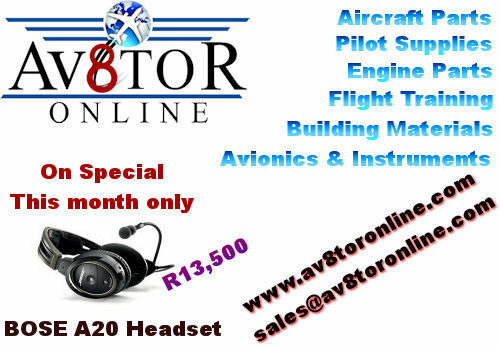 Private aircraft for sale adverts are only R430.00 per month. Commercial sales adverts depend on the size of the advert. Unique to Pilot's Post is our video advertising packages. Our monthly electronically generated advertising statistic report show advertisers the number of times their advertisements were displayed and the number of times they were clicked by readers to access the advertisers website, information that allow you to track the effectiveness of your advertising. Advertisements in our publication are displayed within the content pages readers are focussing on and it is not stashed away in a commercial section potentially ignored by most readers. Three types of advertisements are included with each advertising package to suit the different types of content and to ensure that you are covered regardless of the content type readers are accessing. Adverts are displayed on a rotational basis together with other advertisers on a ratio linked to the advertising package options. We will create the advertisements at no additional cost depending on the package type or duration of your order. 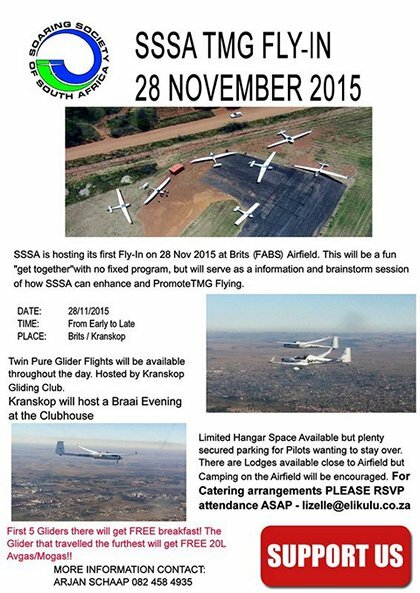 Sharon Potgieter, aviation enthusiast extraordinaire, needs our help and support. Sharon has lost the use of her lower legs due to nerve damage caused by an aviation incident. Sharon has fought back bravely from the incident but the damage is too great and the only change of her walking again requires the amputation of both lower legs and the fitment of prosthetics. 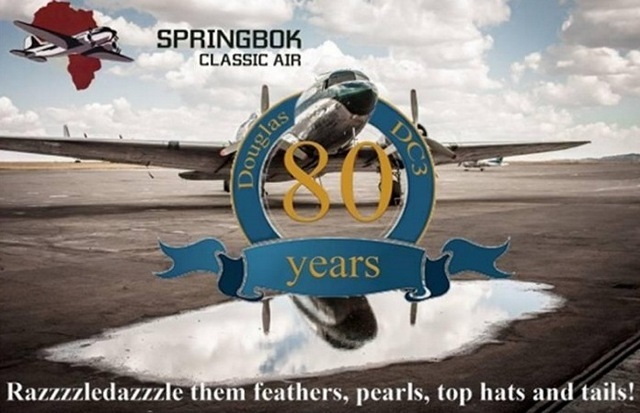 Mossel bay Air show 2012, 13 & 14, first Aerobatic Competition held in Mossel Bay, instrumental in bringing the YAK World Aerobatic Competition to Mossel Bay in November 2014, organising team on the PTAR in 2013 & 14 and in charge of registrations, organised the 2014 PTAR at Gariep Dam, along with Hans the Chief Marshal, Race Secretary for the 2015 PTAR and was in charge of all the Registrations for competitors......in her wheelchair, Race Secretary for the 2016 PTAR in Bethlehem and will be doing the registrations again. Any assistance, however small will be greatly appreciated. Mr Abe Zwiegelaar & Mr Beat Streckeisen are the fund administrators. 25 November 1956 - Eight Boeing B-52 s complete a record nonstop flight of 17,000 miles over the North Pole. 27 November 1929 - Richard Byrd and crew make the first flight over the South Pole in a Ford Trimotor. 28 November 1987 - South African Airways Flight 295, a Boeing 747 named "Helderberg", crashes into the Indian Ocean after a fire in the cargo hold. All 159 aboard die. 28 November 1942 - Roll out of the first B-24 Liberator made in Ford's Willow Run plant. 30 November 1913 - First air-to-air dogfight: pilots (Dean Ivan Lamb) from rival Mexican factions exchanged revolver shots flying a Curtiss Pusher vs Phil Rader in a Christopherson biplane during the Siege of Naco, Mexico. The combat ended with no hits registered. December 1 2001 - Captain Bill Compton brings Trans World Airlines Flight 220, an MD-83, into St. Louis International Airport bringing to an end 76 years of TWA operations following TWA's purchase by American Airlines. December 1 1925 - The Boeing Airplane Co. delivers the first of 10 FB-1 s to the Navy. This one-seat land biplane is the Navy version of the Army PW-9 fighter. The last will be delivered Dec. 22. December 1 1911 - Royal Navy Lieutenant Arthur Longmore lands a float-equipped Short Improved S.27 in the River Medway, becoming the first person in the United Kingdom to take off from land and make a successful water landing. US, Atlanta: Blake Allford accidentally left his gun in his carry-on luggage boarded a Southwest flight without anyone stopping him. Alford says it was an innocent mistake, but he felt that he had to come forward. The Transportation Security Agency is investigating the incident and will re-train employees as necessary. USA, Salt Lake City: Two Air France flights bound for Paris from the United States were diverted for several hours following anonymous bomb threats. More than 700 passengers and crew were safely taken off the planes The FBI said in a statement that no evidence was found aboard the aircraft. The flights involved an Airbus A-380 that departed from Los Angeles and a Boeing 777 that left Dulles International Airport outside Washington, D.C. The 777 was diverted to Halifax International Airport in Nova Scotia. USA, Boston: Police arrested a drunken Polish woman who tried to open an exit door on a London-to-Boston flight. She was charged with interfering with a flight crew and bail of $1,040 was set. She was unable to post bail and was detained overnight at the state police barracks at the airport. USA, O'Hare: An American Airlines flight with 77 passengers on board made an emergency landing at O'Hare after having experienced severe turbulence about twenty minutes after take-off during which two flight attendants were injured. The passengers, all of which were strapped in, suffered no injuries. USA, Carlsbad: A Eurocopter AS350 A crashed at San Diego County airport, killing two people on board. Video footage show the helicopter spinning wildly in a circle on the ground before losing its tail section and tipping over in a cloud of flame and smoke. Nobody on the ground was hurt and the fire was quickly doused. USA, Los Angeles: A JetBlue flight at Los Angeles International Airport was delayed for several hours after a man in a pilots uniform was reported walking to the empty aircraft by an airport worker The plane was inspected by the bomb squad and the on board luggage rescreened. Nothing suspicious was found. It was eventually established that the suspect was an off-duty pilot listed on the flight manifest for what is called a "non-revenue" flight that didn't want to wait for that flight and took another earlier flight. � High availability and low life-cycle cost. "The KC-390 was designed to perform search and rescue missions in the most demanding environments since its conceptual stage. Therefore we are confident that this aircraft fully meets the operational requirements of the Royal Canadian Air Force. ", said Jackson Schneider, President and CEO of Embraer Defence and Security. Latest generation avionics, electro-optic/infrared and radar sensors, full compatibility with night vision goggles add to the aircraft's capability to perform SAR over land or sea. 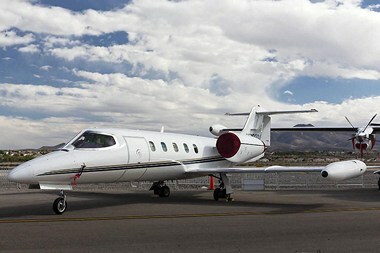 State of the art full fly-by-wire technology makes the aircraft easy to fly allowing the crew to focus on the mission. Internal cabin space can fit all gear required for search mission and fast reconfiguration allows the plane to act as a fast transport for injured victims, with litters and life support equipment. The KC-390 also takes advantage of Embraer�s proven experience on the commercial aircraft, with more than 85 airlines from over 50 countries, to bring to the military and SAR environments unprecedented reliability and availability numbers, while assuring the robustness that the military need. How does an entrepreneur make a profit with the Airvan 8? 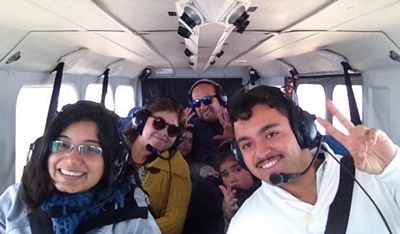 Isabel Carrasco, PIC and partner in Aero Toqui says, "You use the aircraft for a multiple missions, every day." 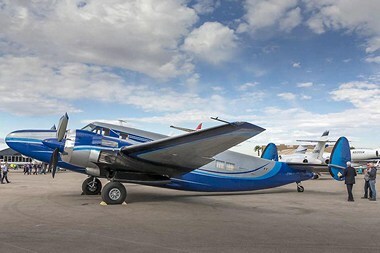 Her charter business, based in La Serena, Chile, uses two Airvan 8 aircraft to support tourism, parachuting, cargo and ISR. "Sometimes your client wants to jump, and then it's a scenic flight, followed by cargo. The quick-change cabin configuration makes all this possible in one day, creating multiple revenue sources." "Chile has only 12 traditional airports. With this aircraft, we have increased our range as it is stable to fly and can land on dirt strips" says Carrasco, "our Airvan is a favourite choice for aerial photographers and surveillance." Mahindra Aerospace led the Mahindra Group's foray into utility Aircraft and aero structures manufacturing. Its utility aircraft business, based in Australia, currently produces the Airvan 8, the most capable, rugged and versatile utility aircraft in its class. Certified in 38 countries, over 200 are in service. Mahindra Aerospace is currently developing a 10-seat turboprop, the Airvan 10, which is on schedule for certification in 2015. 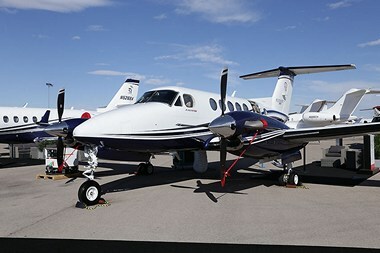 Textron Aviation Inc., a Textron Inc. (NYSE:TXT) company, is displaying 11 of its commercial business jet and turboprop aircraft at NBAA's 2015 Business Aviation Convention and Exhibition in Las Vegas, including the public debut of the Cessna Citation Longitude super-midsize business jet. "As evidenced by our extensive line up at the show, no other aircraft manufacturer offers the broad range of products that we do. 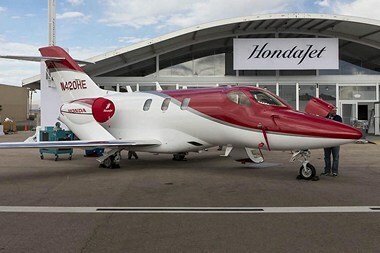 We are excited to expand our product offering even further with the new Citation Longitude, which will be a revolution in the super-midsize segment," said Kriya Shortt, senior vice president, Sales and Marketing. "The Citation Longitude is a perfect example of our commitment to meet our customers' mission needs through continued product investment." With joint engineering efforts accelerating on the Aerion AS2 supersonic business jet program, Aerion and Airbus Group, Inc. today announced a new agreement that will expand North American-based Airbus Group, Inc. resources to the AS2 program. Support from Airbus Group operations in North America will include engineering, procurement and supply chain management, logistics planning, program management, and government relations. These new resources will augment engineering support from Airbus Defence and Space (AIRBUS D&S) in Spain. "The collaboration between Aerion and Airbus Group has been extremely beneficial and productive," said Allan McArtor, Chairman and CEO of Airbus Group, Inc. "The further we proceed along the development path with Aerion, the greater our enthusiasm for this program and the deeper our commitment. 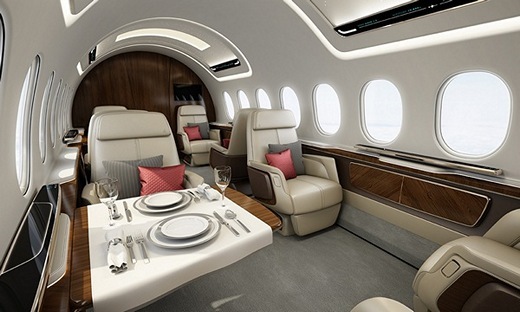 Under our new agreement, our two companies are working as one to bring Aerion's supersonic AS2 to the business jet market," he added. "This undertaking is completely in line with Airbus Group's legacy of developing innovations in flight. Airbus Group has a long history of supporting innovation, and Aerion's innovative aerodynamic technology unquestionably offers long-term benefits to the industry in terms of performance and efficiency," said Doug Nichols, Aerion CEO. At the one-year anniversary of the Aerion/Airbus Group collaboration, the two companies drew back the curtains on engineering efforts that have proceeded quietly, but steadily, since the first joint engineering team meeting in 2014. Airbus Defence and Space has made significant progress in the engineering of airframe structures, the AS2's digital (fly-by-wire) flight control system, its integrated fuel system, and landing gear. "The results of this comprehensive quarterly review were nothing short of excellent," said Ken McKenzie, Senior Vice President for Strategy and Corporate Development at Airbus Group, Inc. "We see clear and achievable technical solutions to the design of a supersonic jet, and a realistic roadmap for helping Aerion proceed toward construction and flight." 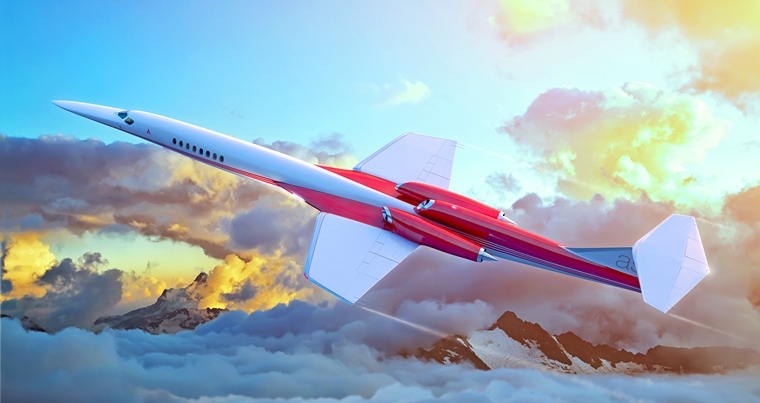 "The take-away from the design review and the effort this past year," said Aerion Senior Vice President for Aircraft Development Mike Hinderberger, "is that we have moved out of the conceptual design phase into commercializing Aerion technology. We are doing the engineering work today that will allow us to build and fly a supersonic jet at the turn of the next decade." 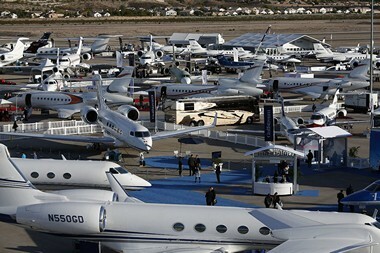 NBAA2015 is the premier event and annual meeting place for the business aviation community. This event brings together key aviation contacts from around the world, including current and prospective business aircraft owners, manufacturers and customers into one meeting place to get critical work accomplished. 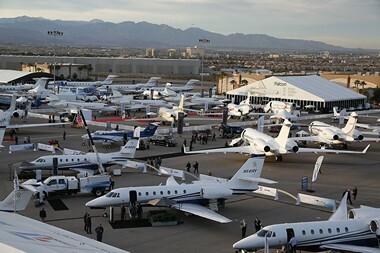 This year NBAA2015 will feature over 1,100 indoor exhibitors at the Las Vegas Convention Centre (LVCC), nearly 100 business aircraft on static display at Henderson Executive Airport (HND), dozens of education sessions and networking with 26,000 business aviation professionals. 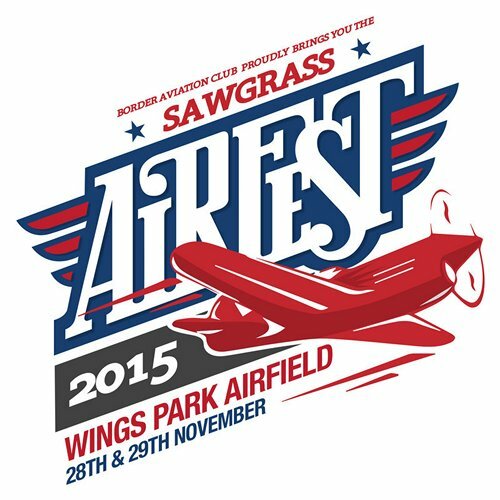 There's no other aviation event that matches it! Eurofighter Typhoon's Programme Capability Manager has announced that work on integrating major new capabilities on to the aircraft is now 'well advanced' and 'delivering promising results'. Paul Smith, a former UK RAF Pilot and Fighter Weapons School Instructor, made the announcement today (November 9th) at a Eurofighter briefing at the Dubai Air Show. Paul Smith said: "We are having one of the busiest Flight Test periods in the Programme's history and the integration of the enhanced weapons-mix is well advanced and delivering promising results." He added: "Throughout 2015 we have been conducting a series of flight tests with our Instrumented Production Aircraft (IPA) working on the integration of major new weapon-systems capability with a particular focus on both Storm Shadow and Meteor missiles. At the same time, the Eurofighter continues to deliver effective and proven air power in both the Middle East and the Baltic States. This is a dynamically challenging and exciting time for the Programme, with its weapon system capabilities continuing to grow." Enhancement Capability Update which introduces a broad range of capability enhancements to the aircraft. As well as the Storm Shadow and Meteor missiles, there are enhancements to the radar, DASS (defensive aids sub-system) and other avionics which will enhance the aircraft's lethality and survivability across all roles. The effects deliverable by both weapons is enhanced by the high-kinetic characteristics and highly integrated sensors of the Eurofighter Typhoon. This improves the weapons' range and gives the pilot the situational awareness to employ them most effectively. He said: "Beyond P3E, our customers are currently agreeing the content and schedule of future weapon system programmes. These will include avionic enhancements, such as MIDS JTRS, and the potential integration of other weapons such as SDB II and the Marte-ER anti-ship missile, which we know are of interest to some of our customer community. It will also see the integration of Eurofighter's new E-Scan Radar." "Bring all these elements together," said Smith, "and it becomes clear why we talk about Eurofighter Typhoon operators having the 'Combat Edge' - the situational awareness and a suite of flexible weapons options that offer pilots a real advantage in the battle space." Lockheed Martin has come one step closer to flying helium cargo airships after reaching a certification milestone with the Federal Aviation Administration (FAA). The hybrid airships are designed to connect shipping networks to remote areas, extending existing air shipping lanes. Because hybrid airships were not covered by existing FAA regulations, Lockheed Martin worked with the FAA, as well as with Transport Canada, to create new criteria with which the airships can be certified as part of the Transport Category. Following the completion of that project in April 2013, the groups have been working on a project-specific certification plan based on those criteria. "The approval of the certification plan represents an important risk reduction milestone for our customers," said program manager. Dr. Robert Boyd. "Completing this step took dedication from both the Lockheed Martin system experts and the FAA, who worked meticulously through thousands of detailed items to achieve consistent and accurate verification statements covering the entire aircraft." Due to the air cushion landing system, which trades wheels for balloon-like legs and hovers on a cushion of air, the hybrid helium airship can land on rough, unpaved terrain without preparation, and effectively adheres itself to the ground in order to remain secured in inclement weather. It can even land in shallow water. So far, Lockheed Martin has flown a one-third scale version of the craft in order to conduct feasibility tests. This test, conducted in 2006, included two pilots and fully functional flight controls and landing system. Lockheed Martin and Hybrid Enterprises LLC began sales of the fully functional hybrid airship earlier this year, and plan to deliver the final product in 2018 at earliest.